I am very happy to share my success story with you. 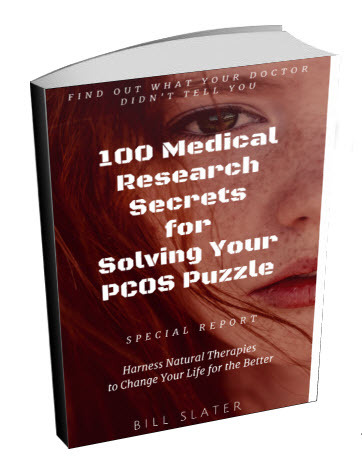 Am 30years old and I have been suffering from PCOS for 16 years i.e., since my 1st period. When I got married six years ago I went to a gyna who put me on pills and afterwards Clomid 3 rounds. but it didn't work out after 6 months. He again put me on metformin and Clomid; it didn't work. I started doing research on the net and I stumbled on a success story where someone took carrot, beet root and spinach juice and was able to get pregnant. So I gave it a try. I was also taking apple cider vinegar because I had read somewhere that it can be used instead of metformin. 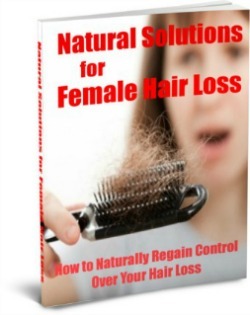 I stopped using Diane 35 that my gyna had prescribed for me. After 2 months I got my period it wasn't heavy and it didn't last weeks like it usually does just 6 days! And for the next 3 months my period came at intervals of 30 days and lasted for 4-6days and I was not using any medication! I gave my doc a visit and I didn't tell him about me stopping Diane 35 thus he put me on Clomid and said we will do 3 rounds if it doesn't work out we will try another option. I took 1st round Clomid and continued taking my juice and apple cider vinegar. After 34 days from my last period I took a pregnancy test and for the first time it was + after 6 years of trying. Thanks to God I'm now 16 weeks pregnant. I believe nature's way is the best but most of all we must have faith in God. I hope my story will help somebody. Editor's comments: Thanks for your story, Susan. Fresh vegetable juice has many health benefits. 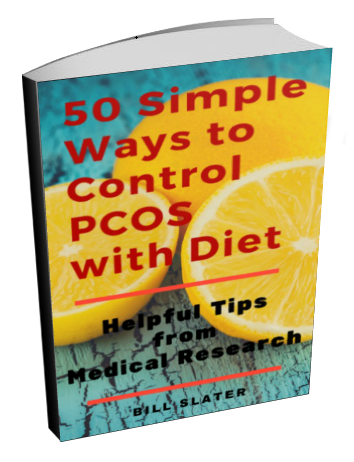 However, for women with PCOS, I think eating fresh vegetables is even more important. Fresh vegetables are better than juice for glycemic control, weight loss, and appetite management. A combination of both would be fine. And speaking of juices, vegetable juice is far superior to fruit juice of women who are suffering from symptoms of polycystic ovary syndrome and weight problems. Fruit juices are NOT a good idea for these women. Too much fructose (fruit sugar) all at once may cause the liver to store it as fat. There is some evidence that apple cider vinegar may increase feeling of satiety and thus help to control appetite, and thus contribute to weight management. However, apple cider vinegar is not a substitute for metformin. 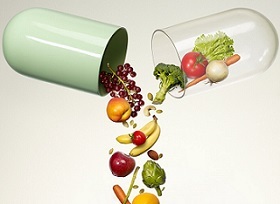 If a person is looking for a "natural" substitute for metformin, NAC would be a better choice than apple cider vinegar. A recent study has shown that NAC is as effective as metformin. Well, it's a complex situation but here are a few places to get started. In order to conceive, you need to have optimal thyroid function and an optimal vitamin D level. More info about thyroid and vitamin D here. You should get tested for both of these factors. Also, see if you can find a naturopathic doctor in your area. They are very useful for situations like yours. To get a few ideas, you could read this article about miscarriages. At the bottom of this page are links to additional articles. You can also take a look at "17 Ways to Help Yourself Get Pregnant in Spite of PCOS" article. I am also suffering from PCOS. I got pregnant 3 times. But unfortunately all were miscarriages. The last one was ectopic and I lost my left fallopian tube. 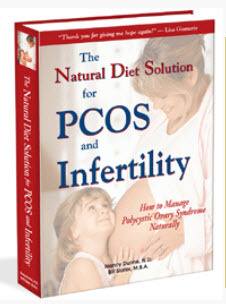 I am really disjointed, but after I read this story, again I will try to fight PCOS. Can you please advise me about conceiving a baby? Vinegar is a start. But only a start. The basic way to control your weight is to change what you eat and drink. For example, if you were to exclude all soft drinks, all grains and all processed foods from your diet, you would be surprised at how much weight you would lose. Grains make you fat. So do sweeteners added to soft drinks. 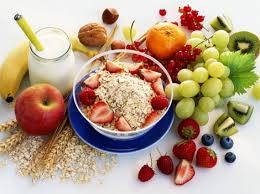 For the next 3 weeks, eat anything you like except grains, processed foods and soft drinks. The weight will begin to melt away and you will feel that you are back in control of your body. 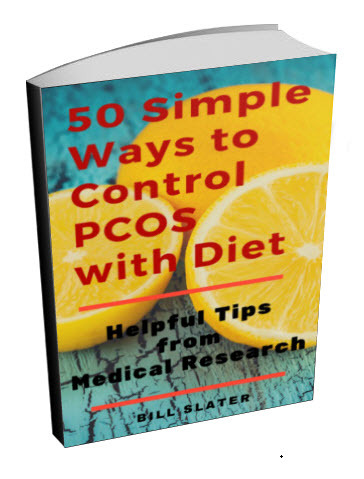 Hi, I am 20 years old, suffering from PCOS for the past 3 years. I am actually fed up of my weight gain. A few days back I gave up and I had lost all hope. 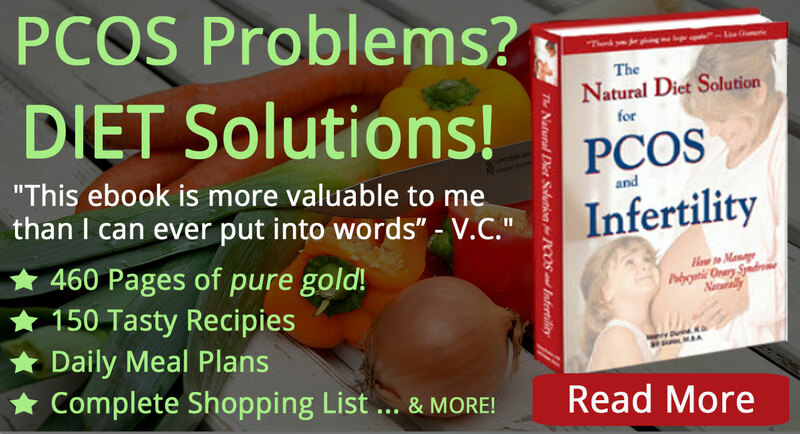 But after reading your success story, I'm very happy, and I have decided to start with apple cider vinegar. I hope it cures. I ACTUALLY GAVE UP. BUT AFTER READING THIS AWESOME STORY I HAVE HOPE. HERE'S TO FIGHTING PCOS NATURALLY LADIES. I am also suffering with PCOS problem and my doctor put me on metformin 1500mg every day, even though i noticed spotting between periods and no heavy bleeding. Please help me how to use this product and i am trying to conceive. Editor's note: Click here to learn more about metformin.